Jam out to your favourite songs with your musician friends with a 1-hour jamming session. 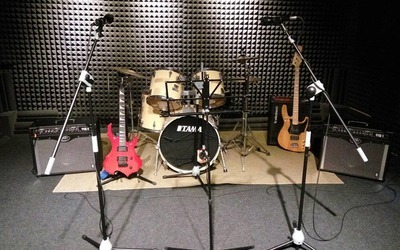 The studio is equipped with the necessary instruments for a full band to practice and rehearse. Valid Monday to Sunday: 10am – 12am including public holidays. Each band is entitled to a maximum of 2 hours jamming promotion. Following addition hours subject to RM30/hour surcharge.